Many organ systems can cause or contribute to pelvic pain. At Desert Women's Care we offer a unique, multi-disciplinary work-up of all related systems to assure the most thorough diagnostic evaluation possible. 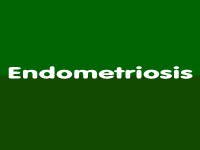 Endometriosis is the single most common cause of pelvic pain. At Desert Women's Care we offer the most advanced medical and surgical interventions to treat endometriosis and manage the pain it can cause. Some conditions require surgical management. Dr. Demir is a nationally recognized pelvic surgeon strongly committed to cutting-edge, minimally invasive procedures to achieve optimal outcomes. GYN Video Award in 2010 and again in 2013 recognizing innovative techniques in surgery. 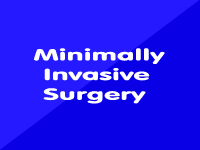 Three time winner of "SpotLight Award" in 2010, 2011 and 2013 for advancing surgical education. "Top 10 Doctor Award" in 2014 and "Patient's Choice Award" in 2009 and 2014 recognizing excellence in patient care. World record for largest uterus ever removed without resorting to laparotomy in 2008.